Moridi (Tehran, Iran) on 24 April 2014 in Plant & Nature and Portfolio. Fantastique vue de ces tiges de pin et l'eau au sommet sueprbe. Caught by drops the light is magnificent ! Excellent bokeh effect achieved here!! They look like beads of jewels. Superb Moridi !! A beautiful shot !! Great shot, love the color and details. Lovely lines, shapes and bokeh. Is it upside down? @Anita: Thanks for your comment. No change. agua... Preciosos colores y luz... Buen día. for a moment I thought it was grass blades upside down. superb picture, I like a lot. Excellent ! nice remained rain drops capture, beautiful framing ! 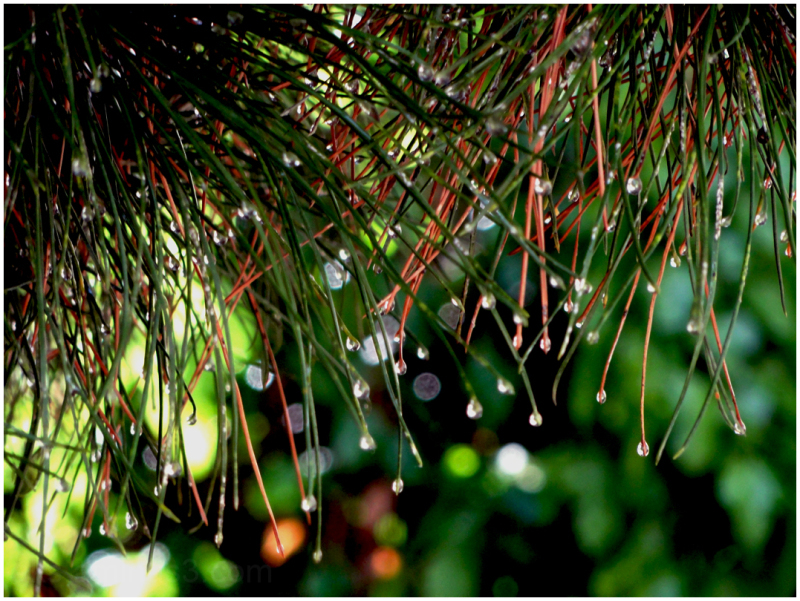 Beautiful rain droplets. Nice click.